By Michael Collins: #1 IBF mandatory challenger Adonis Stevenson (19-1, 16 KO’s) is still waiting to see what IBF super middleweight champion Carl Froch will do next. Froch wants to fight WBA super middleweight champion Mikkel Kessler next, but the two fighters are still wrapped up in a tough negotiation. Froch’s promoter Eddie Hearn says he expects this to be concluded this week. He’s going to have to make a decision at this time whether to fight Kessler and give up the IBF strap or face the dangerous Stevenson. Rodriguez is ranked #3, Bute #4 and Oosthuizen #5 by the International Boxing Federation. 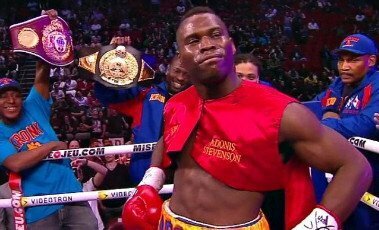 So it’ll be up to Rodriguez first if he wants to fight Stevenson for the vacant IBF 168 pound title. If he declines the fight, which I doubt he will, then Bute will be the next fighter to get a shot. It’s doubtful he’ll take the fight because it’s a high risk fight and he’ll likely wait to get his big money rematch against Carl Froch at some point in 2013. It would be interesting to see how Froch would do against the speedy Stevenson because Froch has had problems when facing guys with speed. He struggled to beat Jermain Taylor in 2004 after getting knocked down by him, and then Froch won a highly controversial 12 round split decision over the blazing fast Andre Dirrell in October 2009 in the Super Six tournament. Froch then lost to Andre Ward in December 2011 in the Super Six tournament finals. Speed seems to be the kryptonite that makes Froch mortal, and I wouldn’t be surprised if he avoids Stevenson. Next boxing news: Who will Arum match Pacquiao and Marquez up with on April 20th?